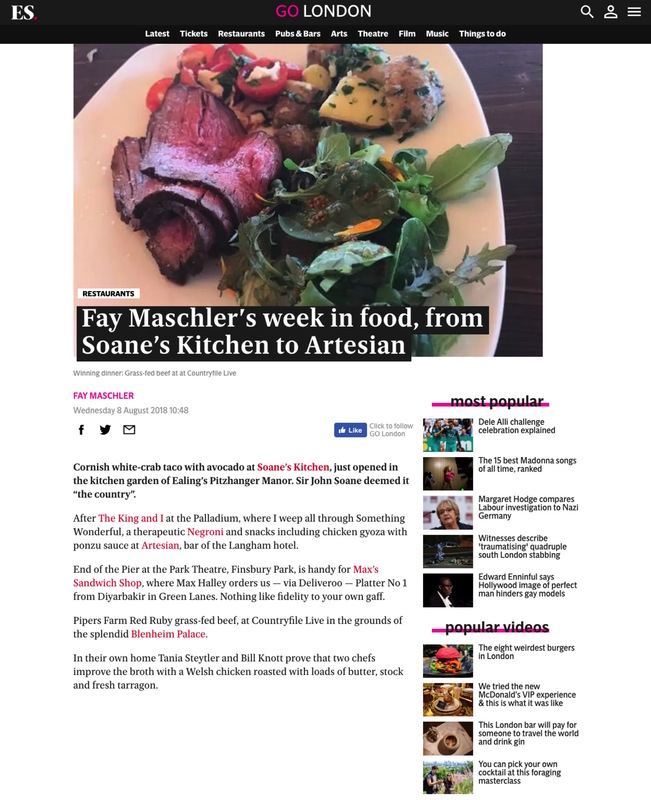 A huge thanks to the Evening Standards renowned food columnist Fay Maschler for including Soane's Kitchen in her regular Week In Food feature! 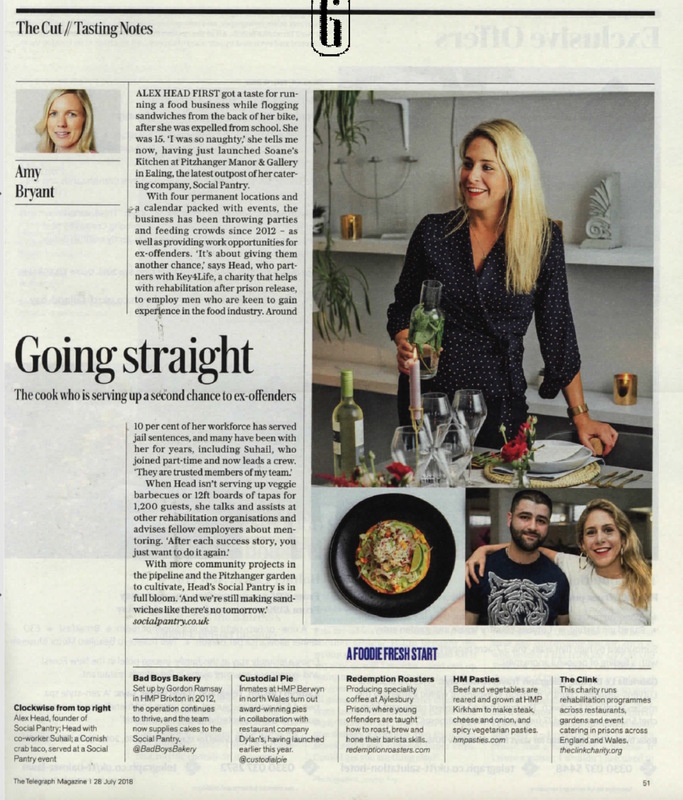 "When it comes to entertaining, Alex Head truly is the hostess with the mostess. 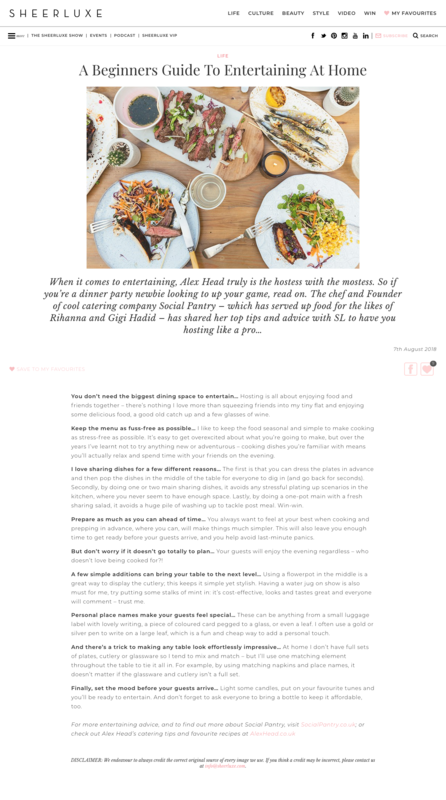 So if you’re a dinner party newbie looking to up your game, read on." 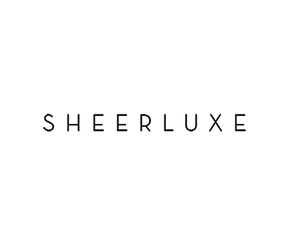 A big thank you to the brilliant Sheerluxe team for featuring my 'beginners guide to entertaining'. 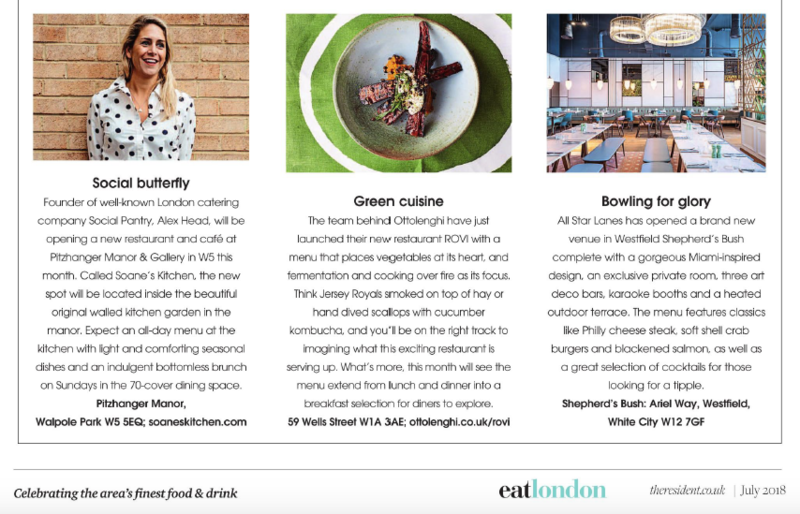 "Social Butterfly" - huge thanks to local magazine The Resident for the lovely Soane's Kitchen shout out within the food pages in the July issue. 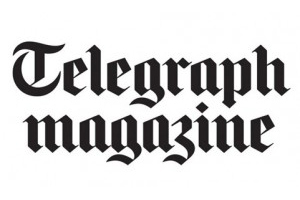 "Going straight: The cook who is serving up and second chance to ex-offenders" - a massive thank you to Telegraph Magazine for the amazing feature on Soane's Kitchen and my work with ex-offenders. 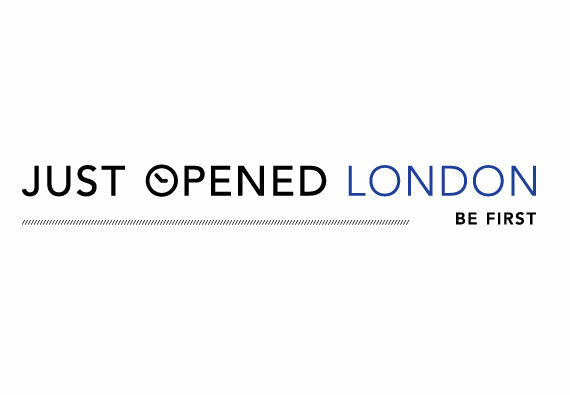 Want to know where you can eat conscious, delicious and sustainable food in London? 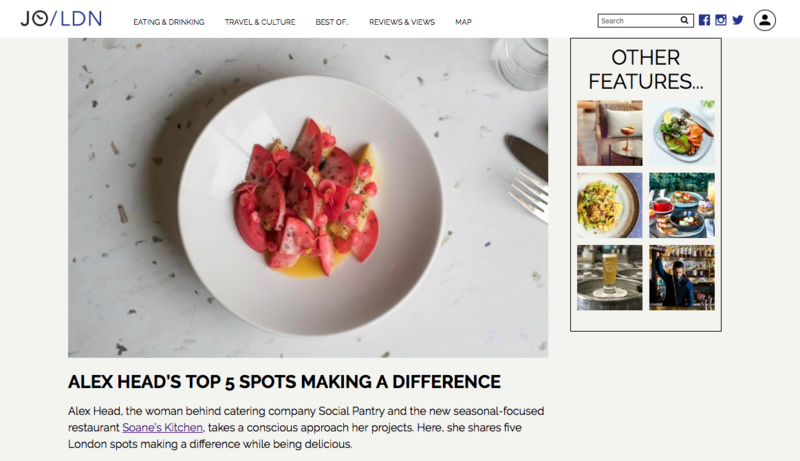 I shared five spots making a difference with Just Opened. 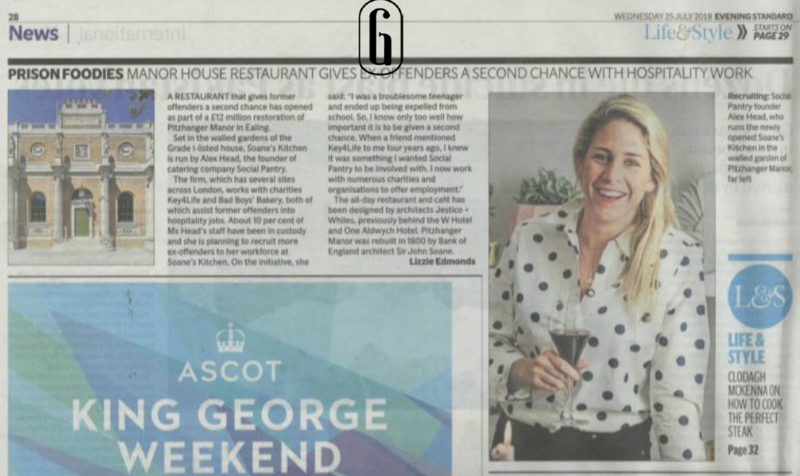 "After founding her own catering company, Social Pantry, in 2011 she's just about to open her third permanent site in the capital, which she owes to her humble beginnings" - super exciting to see Soane's Kitchen featured in The Independent, bring on the burrata. 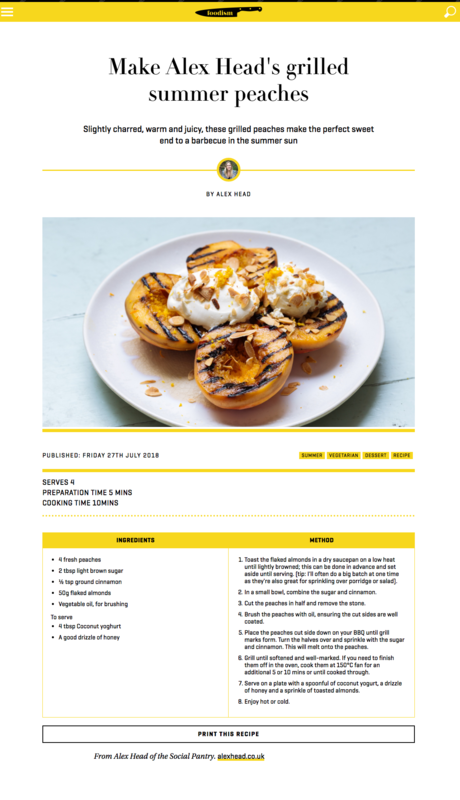 "Slightly charred, warm and juicy, these grilled peaches make the perfect sweet end to a barbecue in the summer sun" - big thanks to Foodism for featuring my tasty summer recipe. 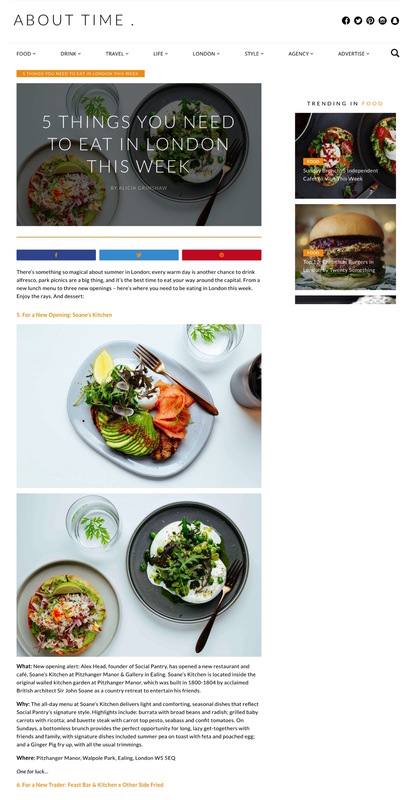 "5 Things You Need To Eat in London This Week" - according to About Time you need to visit Soane's Kitchen, I couldn't agree more! 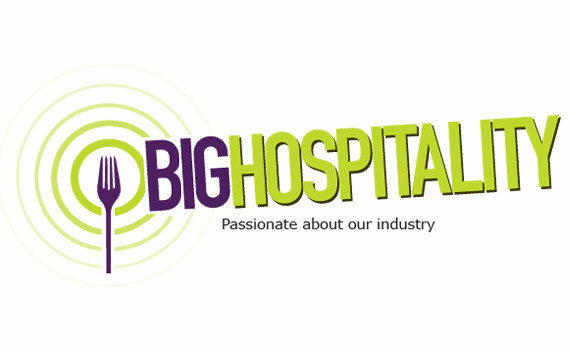 "Manor house restaurant gives ex-offenders a second chance with hospitality work". 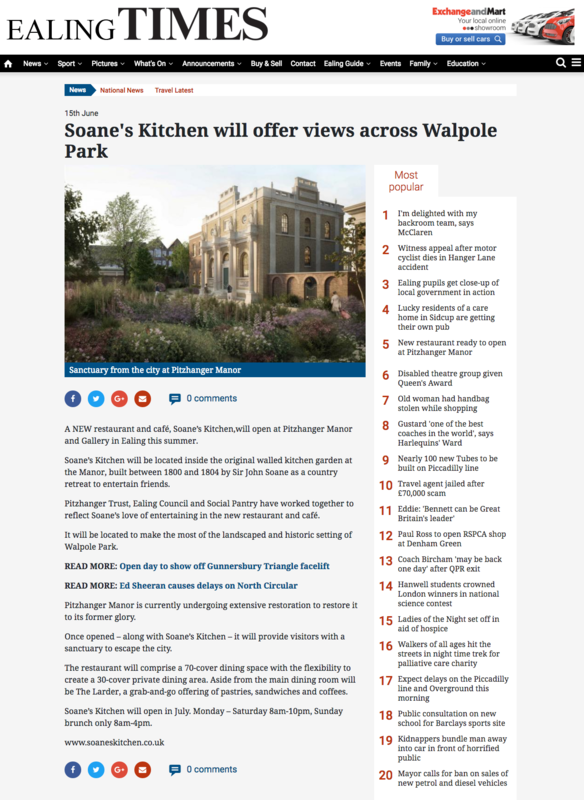 It's brilliant to see Soane's Kitchen featured in the Evening Standard! 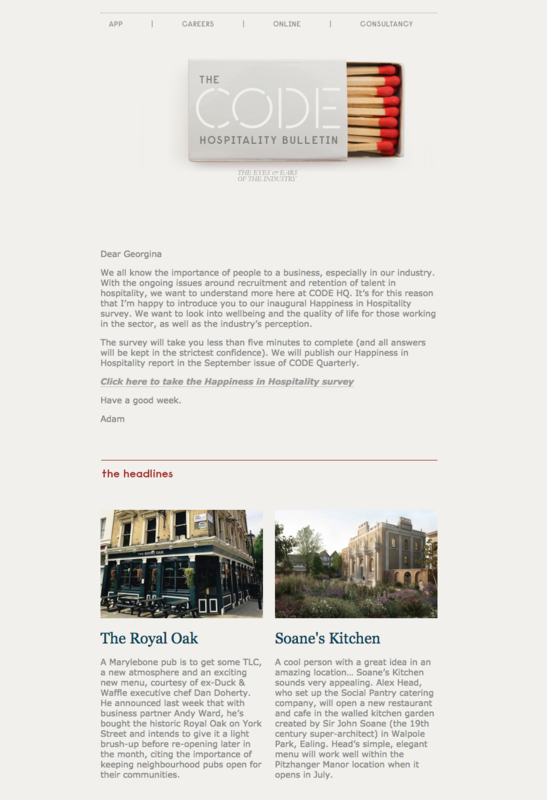 "A cool person with a great idea in an amazing location… Soane’s Kitchen sounds very appealing." 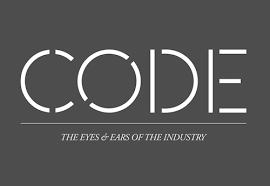 Thanks CODE Hospitality for the shout out! 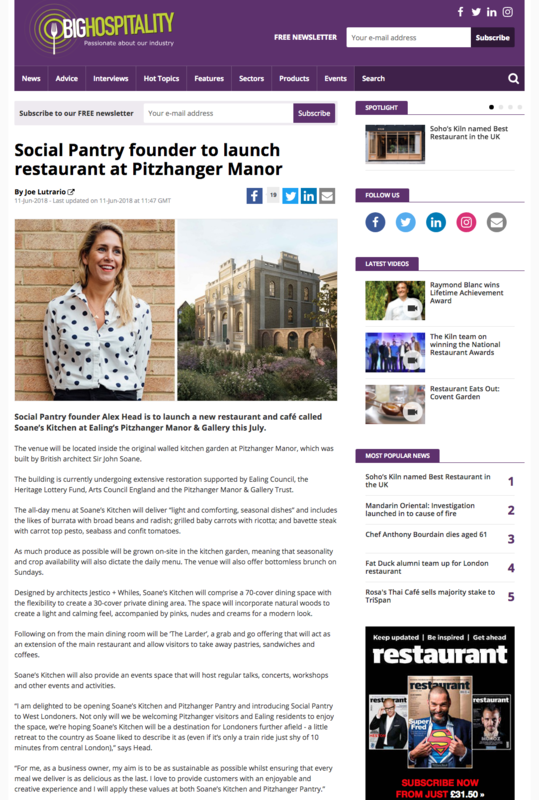 Big thanks to Big Hospitality for featuring Soane's Kitchen as an online news feature - we're super excited to launch our new site at Pitzhanger Manor. 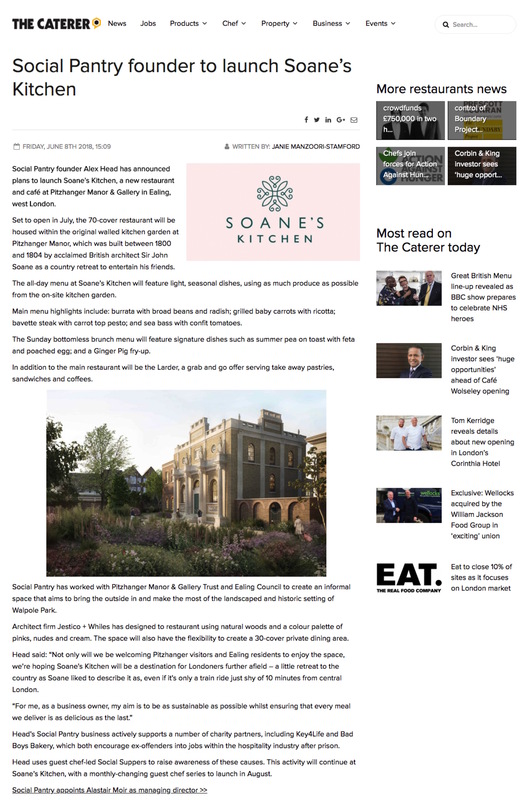 "Once opened, Soane’s Kitchen will provide visitors with a sanctuary to escape the city." 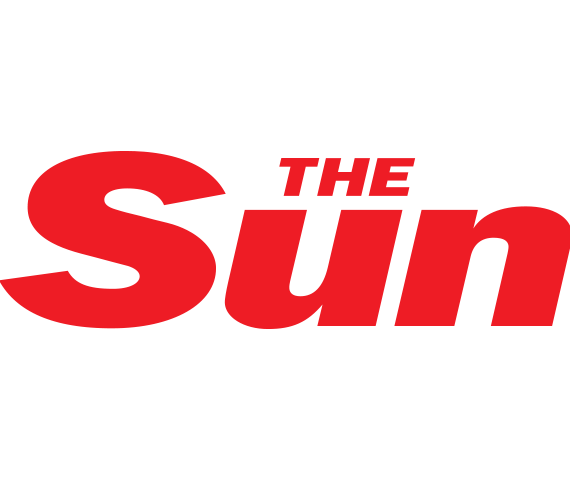 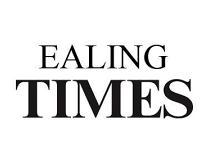 Thank you to Ealing Times for supporting the launch of the new Social Pantry site at Pitzhanger Manor. 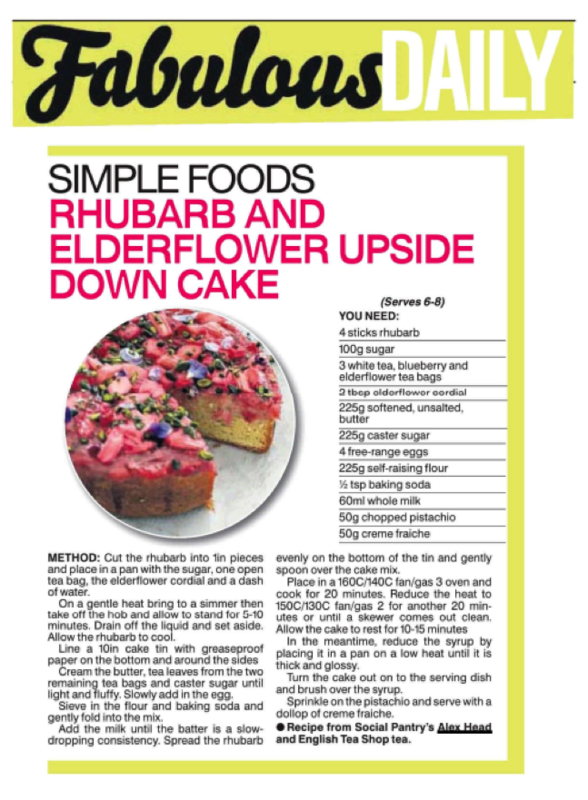 I teamed up with English Tea Shop to create a series of seasonal, fresh recipes infused with their range of delicious teas - including this delicious Rhubarb & Elderflower Upside Down Cake as featured in The Sun. 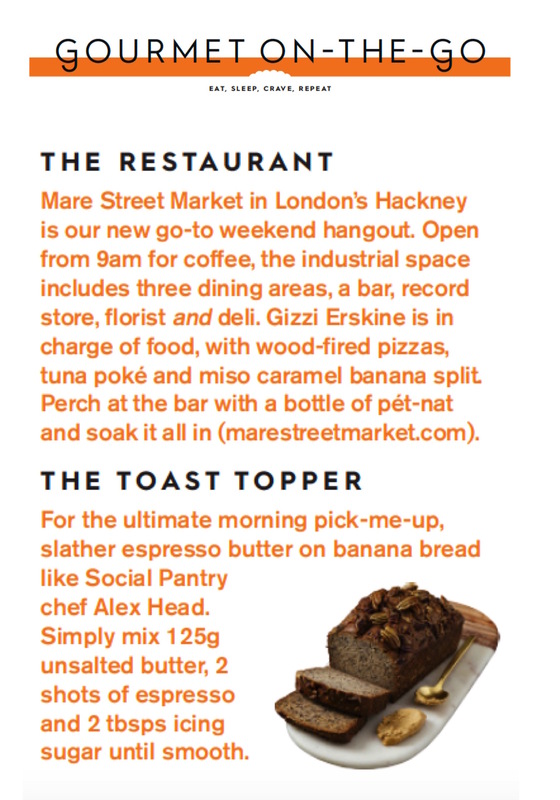 'For the ultimate morning pick-me-up, slather espresso butter on banana bread' - my quick, delicious espresso butter recipe featured in Stylist magazine's regular The Taste Makers column. 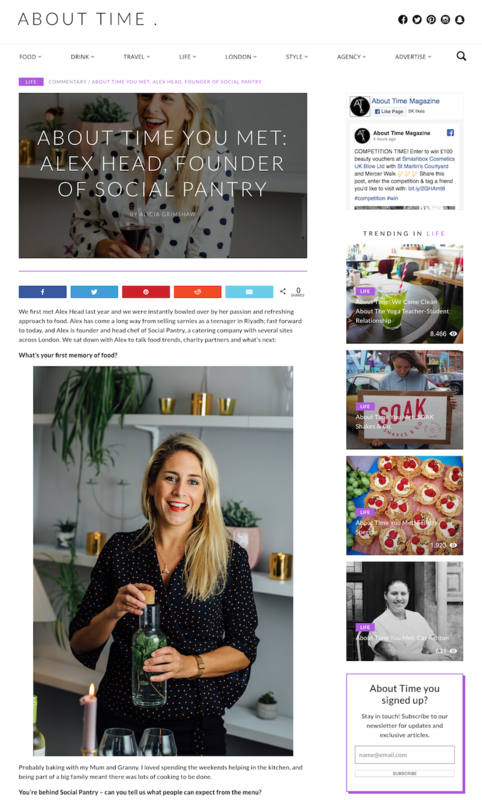 "We first met Alex Head last year and we were instantly bowled over by her passion and refreshing approach to food." 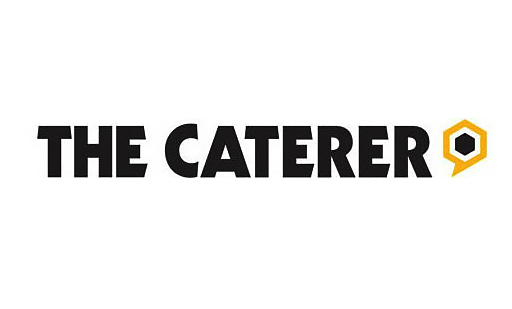 A huge thanks to the brilliant team at About Time for featuring me, visit their website to find out more about what it takes to run a busy London catering and events company.